I’ve always loved the idea of pairing songs to books, so I was really excited about this topic. I’ve had Halsey on repeat these days, and I think I could probably find a book to pair with every one of her songs. lol So she’ll be mentioned a few times, I hope you don’t mind. So what do you think? Let me know if you agree/disagree with my song choices for these, or if you had different songs in mind in the comments! The perfect song for an unexpected love. Have you ever noticed how creepy this song is? Even the video is creepy, it completely fits this book. I think this song really fits Calaena. This song just screams Auburn and Owen. Such an awesome love story deserves a great song. I don’t know, this song just seems perfect for a group of misfits just trying to get by. If there’s nothing here, why are we still here? Top Ten Tuesday: Books I’d Love to Read With My Book Club If I Had One! Amazing choices! :-) I love it that you’ve included the lyrics. It really helps! OOh nice! I always struggle with connecting a book to a song and such. Of course, this week I ended up doing next week’s topic! Not sure how that happened! LOL! Love your choices!!! Especially the one for Shadow and Bone. Yesss! Your choices are great! Love them! Check out our TTT & enter this box of ARCs + movie swag giveaway! Thank you!! :D We had fun with this topic… loved all the songs on your list…. 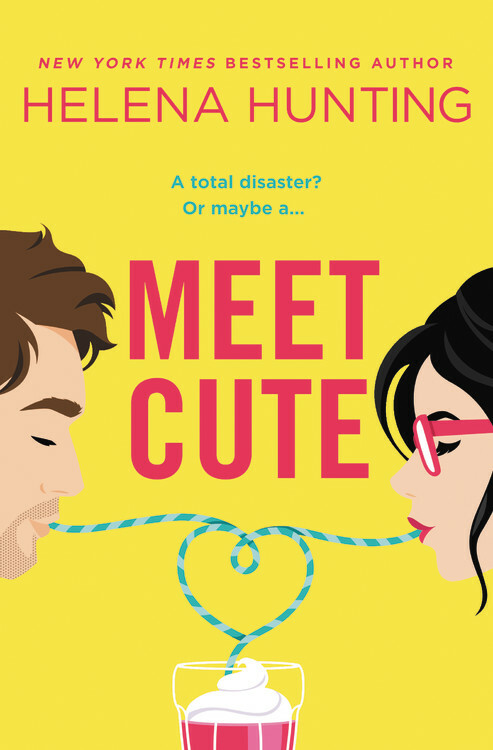 they’d all be total swoon-worthy novels!! I just finished Red Queen and can totally see where you’re coming from with your song selection for Mare. I think I had just finished reading that book when I listened to this song and thought it screamed of Red Queen!!! :D Glad you thought so too! Listen to our TTT @ Lazy Book Lovers! 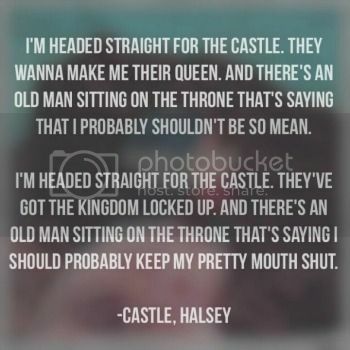 I like how much Halsey you used! She’s one of my favorite artists. I also love Lana Del Rey. I’ll have to check out some of these books because I adore these songs! Great list! 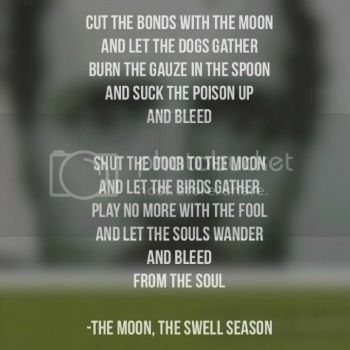 Love The Swell Season — also wish I had thought to link certain songs to certain books! 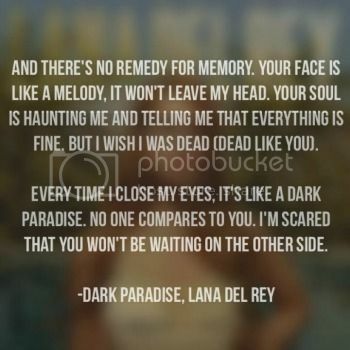 Lana Del Rey is another favorite. I completely forgot her too! Ahh! I see a lot of Halsey! Great picks ladies!